This is another one of those albums that I can't imagine high school without. This album was such a part of my senior year. The album was released in September of 1991, the month that my last year of high school started. It seems that somehow over the summer and the next couple of months that everyone had stopped listening to metal and started listening to Nirvana. Or they still liked metal and hated Nirvana. 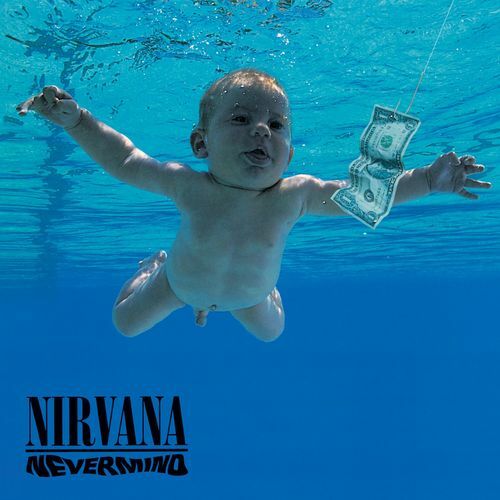 I somehow had never heard Nirvana until that summer before Nevermind came out. Bleach was released in 1989, but I seriously don't remember anyone listening to that album until after Nevermind came out. Obviously somebody listened to it. Just nobody that I knew. 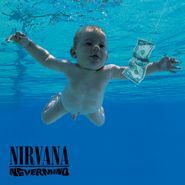 Sonic Youth, The Pixies and Dinosaur Jr. had sort of gotten me ready for Nirvana. And Ned's Atomic Dustbin! But I really didn't know what I was getting in for when I first bought this album. I listened to this album over and over in late 1991 and all through 1992. "Smells Like Teen Spirit" was the first single on the album and took over KROQ and MTV. You could not get away from this song. I can sort of understand why people who didn't like the band just got sick of seeing them everywhere. But I was hooked and was happy to hear them everywhere. "Come as You Are" was probably the song that really got me obsessed with this band. Nirvana would be a part of my life for many years to come. They released In Utero two years later in 1993. And of course we all know where we were on April 8th, 1994. Kurt Cobain was my generation's Janis Joplin, Jim Morrison or Jimi Hendrix. He died at the height of his popularity. It doesn't seem like such a big deal anymore, but his death had a profound impact on many of us. This album has stayed with me after all those year, like any album on this list. Putting it on brings me right back to this period on my life. I love the album, but Kurt Cobain's death forever changed the way that I listen to it. This album featured in Brad’s Best Albums of 1991 blog.